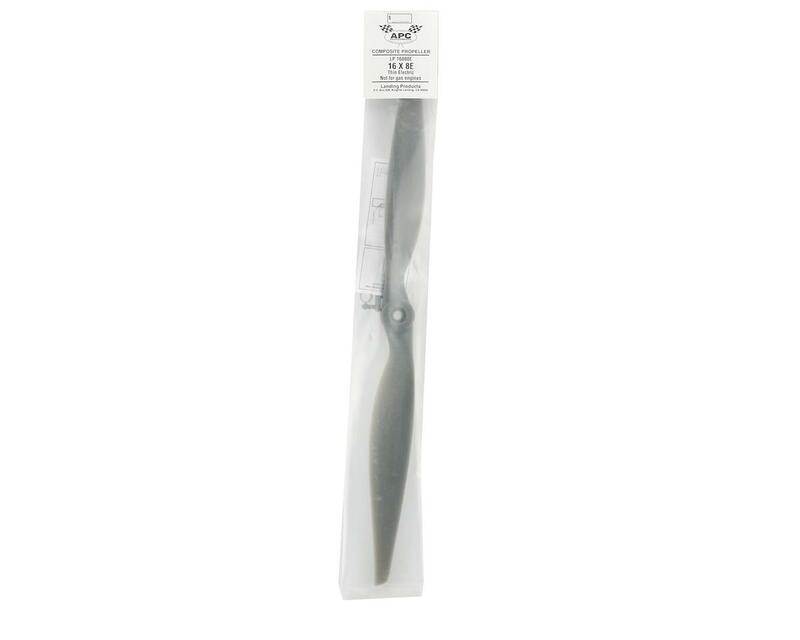 Home > Airplanes > Parts > Propellers & Accessories > Composite > 16"
This is the APC 16x8 Thin Electric Propeller. 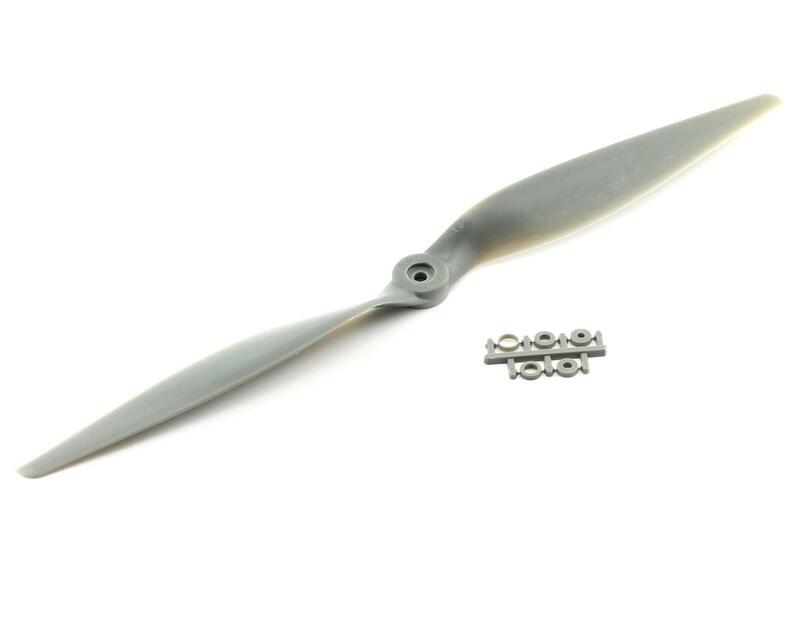 APC propellers are manufactured using a pultrusion process which allows for a higher fiber (60%) to resin (nylon binder) density. This provides substantially higher strength and stiffness than with glass filled nylon. The additional stiffness is beneficial to control of vibration resonance response. The higher strength allows the use of thinner cross-sections, beneficial to weight and aerodynamic efficiency.